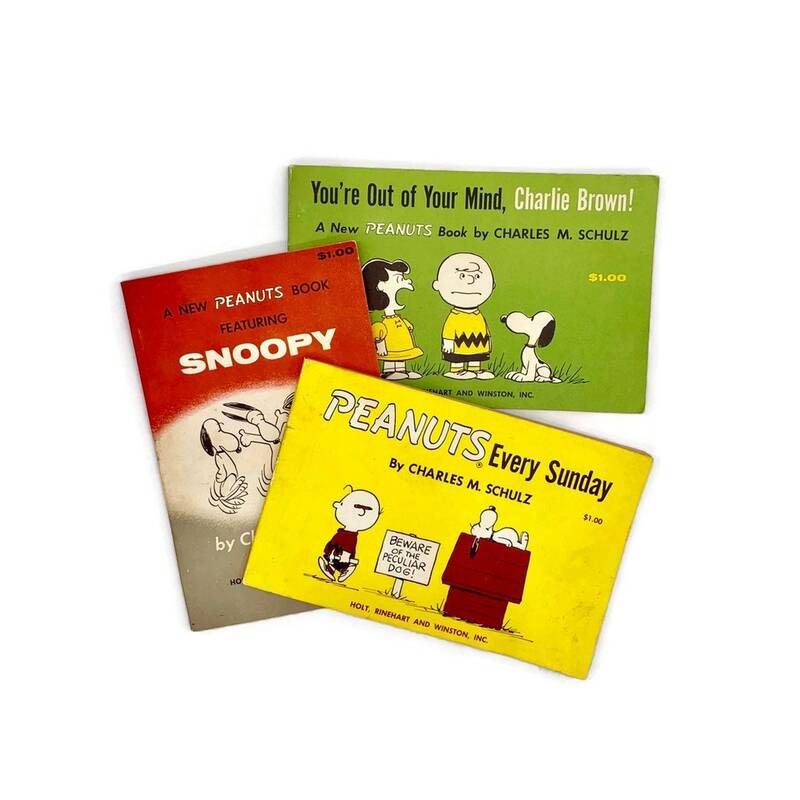 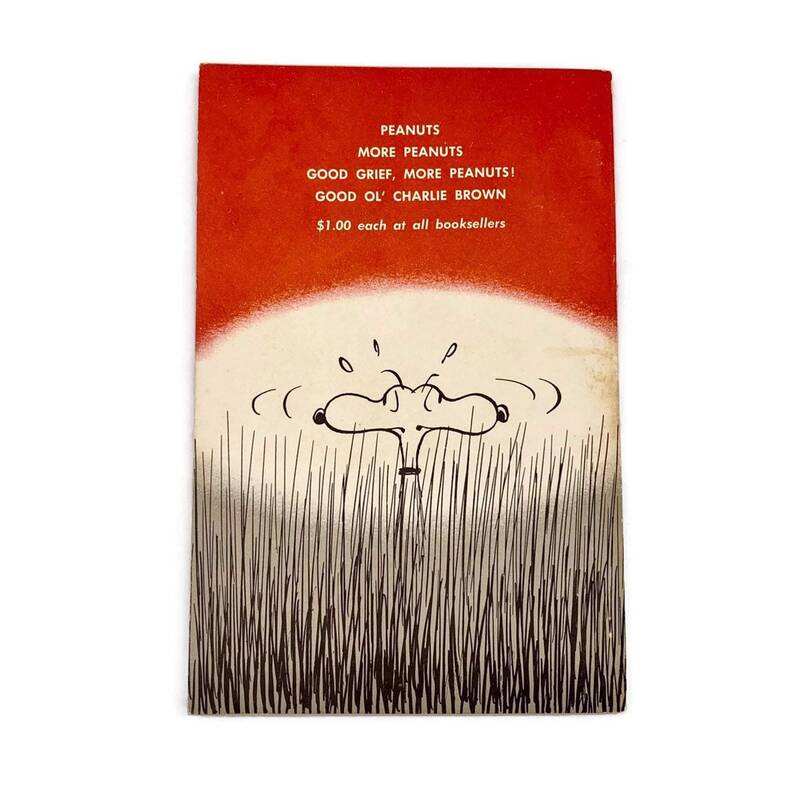 Vintage set of 3 Peanuts paperbacks by Charles M. Schulz. 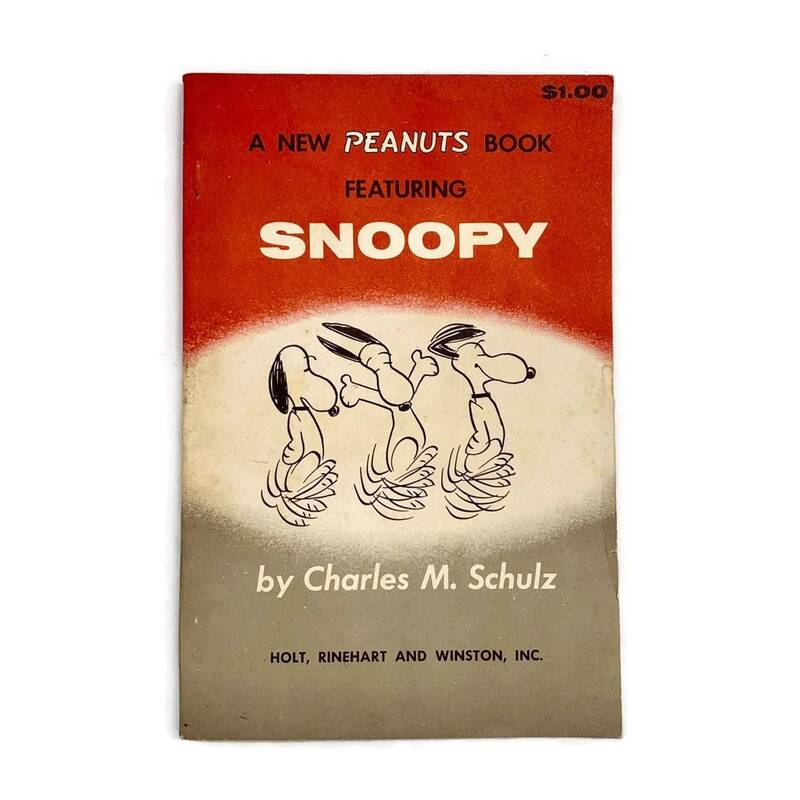 The books are in good vintage condition - the pages are browning and have minimal tearing and wrinkling. 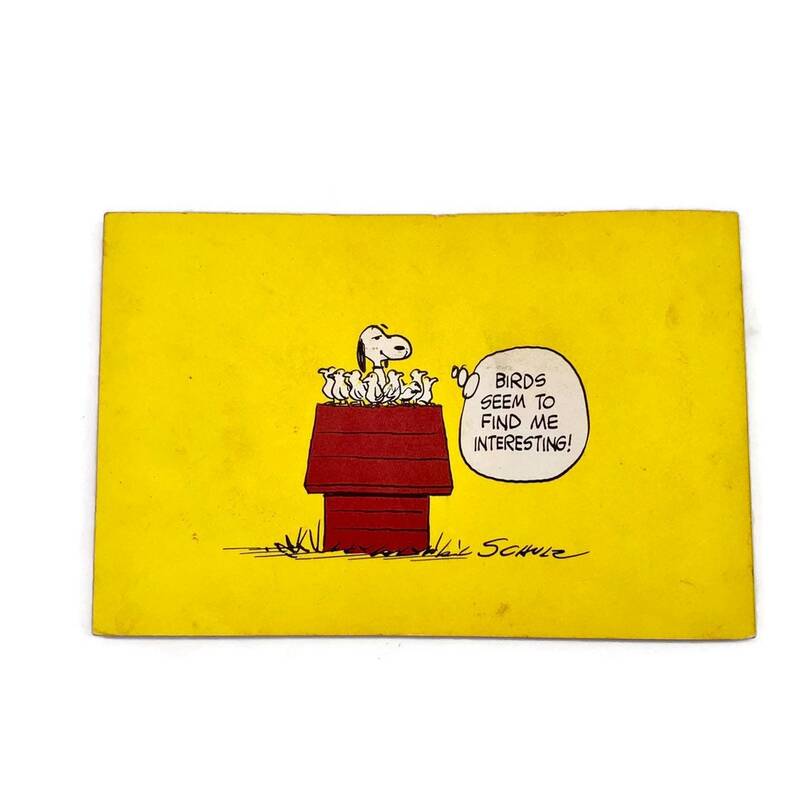 If you are a serious collector, please don't hesitate to ask more detailed questions about the condition. 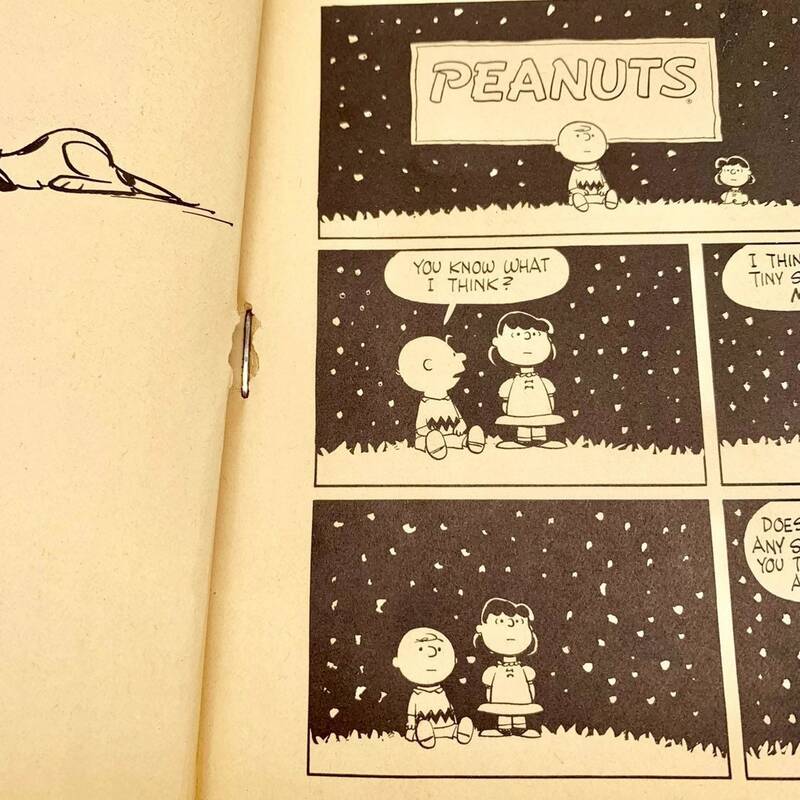 All pages are in black ink only. 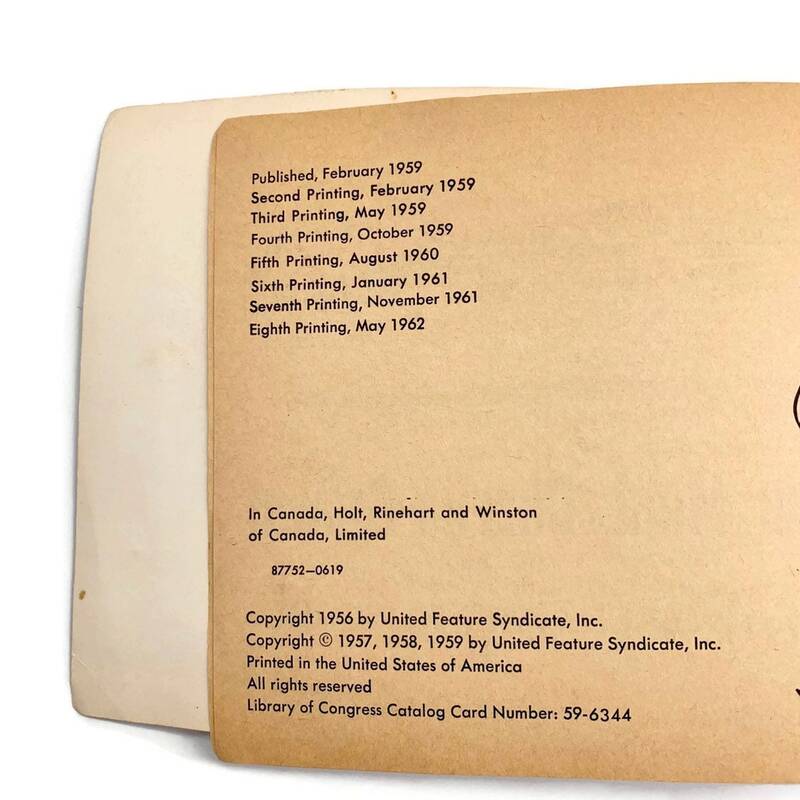 Published by Holt, Rinehart and Winston, Inc. 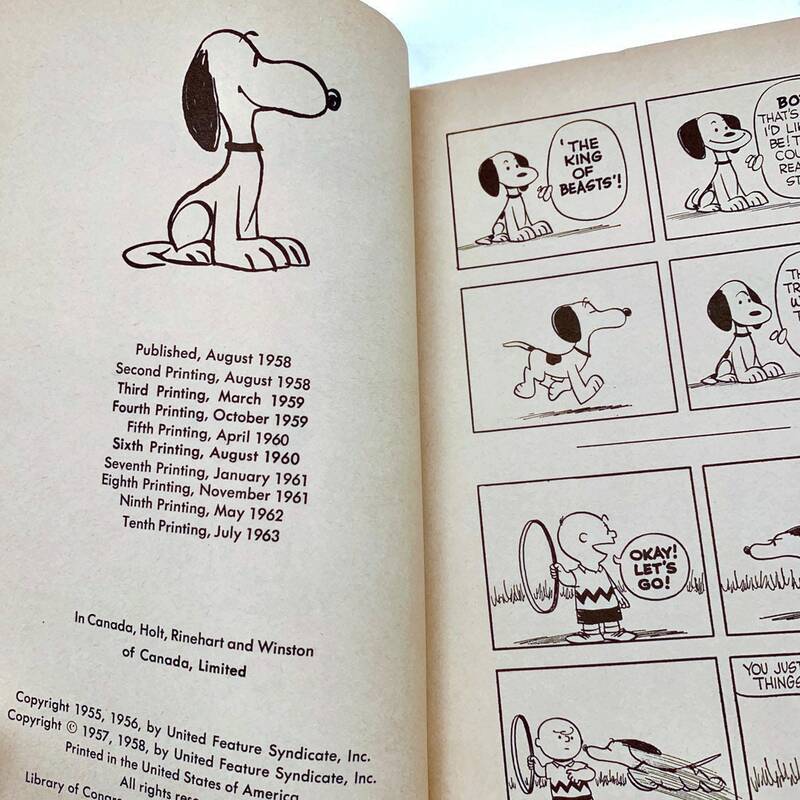 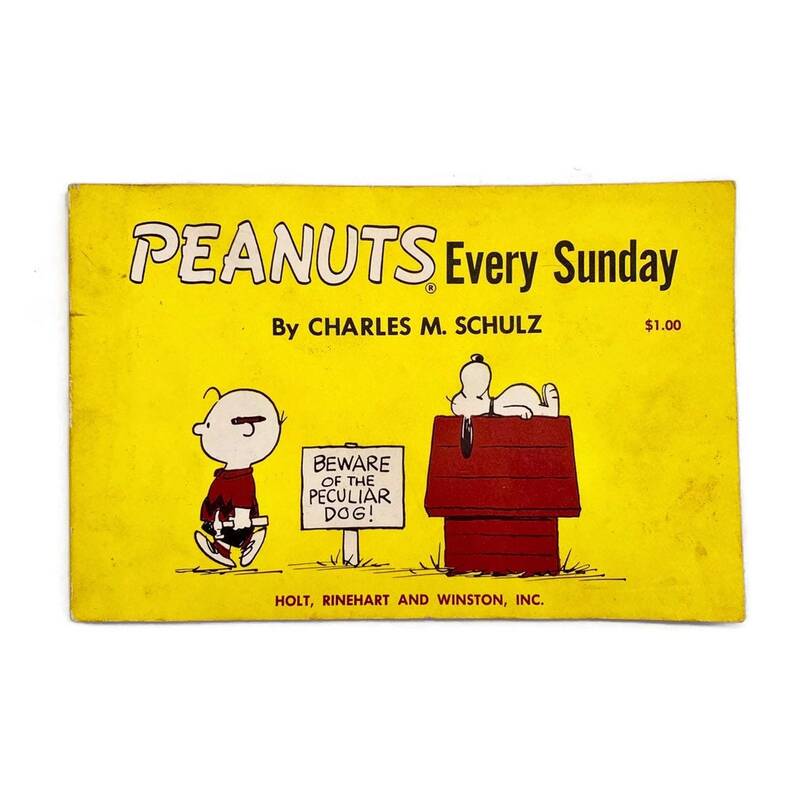 Peanuts Every Sunday by Charles M. Schulz, 1965. 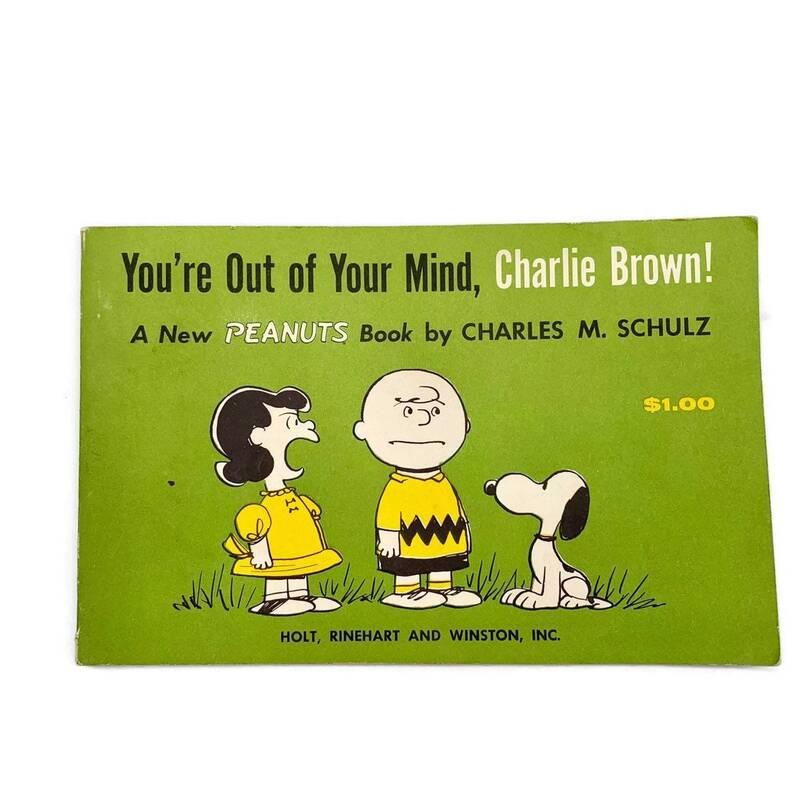 You're Out of Your Mind, Charlie Brown!, 1962. 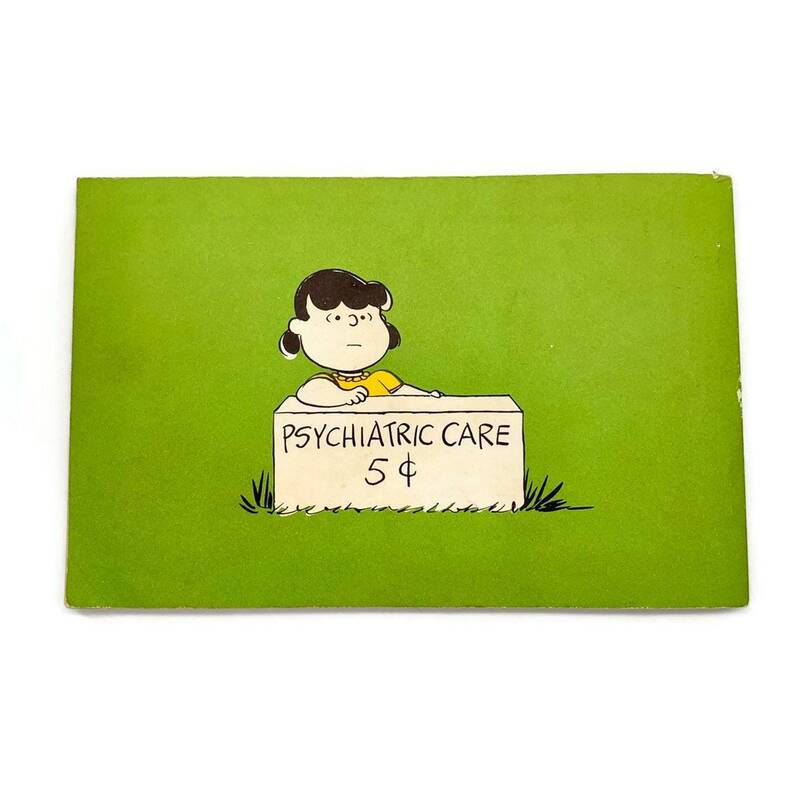 + Each measures 5.25" x 8" x .38"
+ Combined weight is 13 oz.